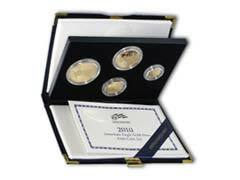 The first Gold Eagle coin mintage was initiated by the US Government in 1986 and they have since been producing them every single year in four denominations ranging from a full ounce Gold Eagle coin to a tenth of an ounce gold coin. 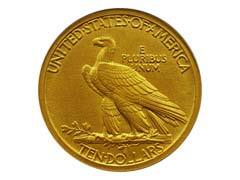 American Gold Eagle coin is USA’s number one selling gold bullion coin with its truly American design and 22 karat gold content. 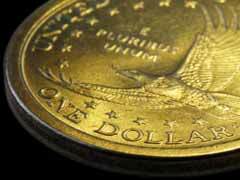 The official bullion coin of the United States of America, the Gold Eagle is highly sought after by both investors and numismatists alike. Combining high quality all American precious metal, beautiful design and excellent reputation, this is one of the most popular coins in the world.